One of the advantages of R is its add-on packages which are now 3,759 packages freely available in CRAN (May 1, 2012). I have been using R for my research since 2010. These packages have brought me to R. It is also the main reason why I am mainly use R (90%) for my research and teaching. Great packages like ggplot2 or iplot (for graphics) as well as sem or lavaan for (Structural Equation Model) are the good examples why many people are migrating to R.
Hence, I also would like to contribute to R more by writing some packages that would be useful to my subject areas (Economics, Supply Chain Management and Tourism). I wish I can have three packages (hopefully called econ, scm, and tour) that contains data sets, functions that help researchers, teachers and students in my fields benefit the uses of R in the future. As I have no experience in writing any software or computer package before, I have search around the Internet and as usual there are lots of stuffs on how to create a package in R. Followings are the list of resources I found. Hope that one who also want to write an package will find the list useful. 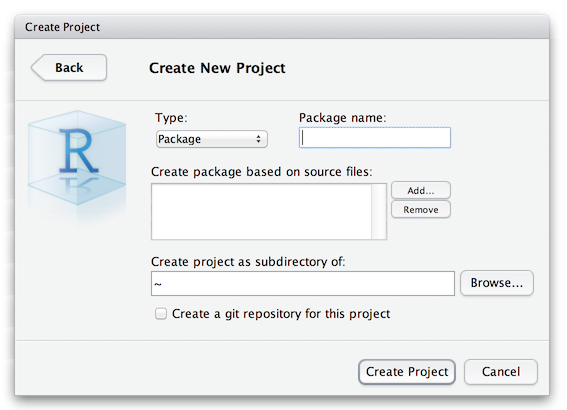 *UPDATE (23 Oct 2012): I just found a new feature of R Studio for package development (with RStudio v0.97 or higher). I believe that this is gonna be a big hit soon.